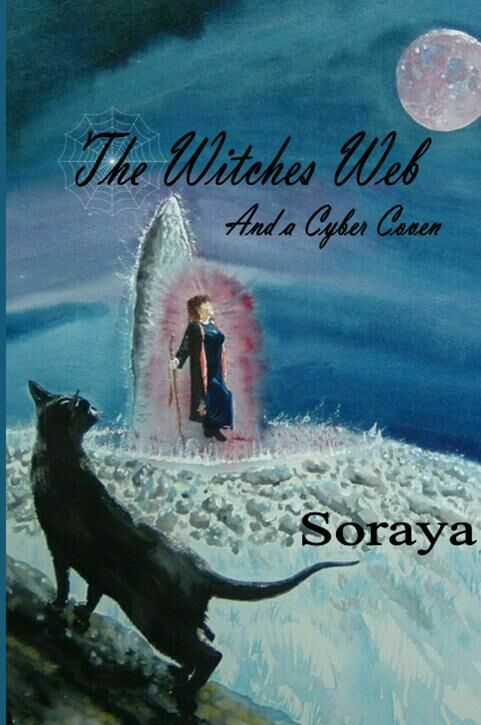 This latest book of Soraya’s was inspired by her online forum, The Witches Web on Facebook. Soraya believes that she is just one small voice among many, and that the input and comments from her members and her followers are valuable and worthy of sharing, so that others can benefit from their experiences. Some stories may remind you of when you took your first steps on the path of ‘The Old Ways’, but Soraya hopes that the experiences shared may bring you confidence if you are just venturing on to this path for the first time. I'm reading about how you sat and thought about what you had in your house made me do the same. There is magick everywhere in my house too! Sometimes its just the little things we do without thinking that are the most magickal. Some things just become a habit we forget just how magickal they can be. Some would say that I am outgoing and friendly and I will happily engage in conversation with anyone, but in fact, I am quiet and private and have very few people in my circle of friends. I guard my home like my circle and regard my home as my circle, hence I am selective about the people that I allow into what I consider to be my sacred space. There are always candles at the quarters in the sitting room and ordinary looking ornaments, trinkets, or dishes, my working accessories, hidden in plain sight. These are constant reminders of the craft and my beliefs; therefore it is second nature to me that only genuine people can bring their energy into my home. My kitchen, my garden, and my office are where most of my magickal work happens. 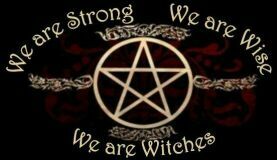 Rituals, especially online rituals with members of the Witches Web, my online forum, happen in my office within reach of my PC. Preparations for ingredients for my rituals or spell crafting are made in my kitchen using spices, herbs, oils, and any other ingredients that are suitable to celebrate an Esbat Ritual during the full Moon, or a Sabbat Ritual during one of the eight Wiccan or Pagan festivals that occur throughout the year. My favourite of all places is my garden or more specifically the earth around me whether I am working with plant pots or directly in the ground, I cannot think of anything I like better than having my hands in the earth and feeling the soil in my fingers. The thrill of preparing a tray of soil and planting seeds then watching them sprout is just a miracle and a joy. Apart from anything else planting seeds can be an important part of spell craft. I love the earth and all things from and on the earth. I love nature, the trees, birds, and insects, (Wasps and Earwigs excluded). I love the sea and yes even the weather when it sunny or dull and especially the wildest of storms. I love watching the journey of the Moon as it passes through its stages, from the few days of the Dark Moon and then that tiny sliver that appears to confirm that it is growing to the splendour of the Full Moon. When people pull trees or shrubs out of the ground because they ‘are getting too bushy’ or because ‘they don’t want them anymore’ and he indiscriminate use of pesticides and weed killers upsets me. Everything in and on this beautiful earth provides us and other creatures with food, shelter, or medicine or just simply the beauty of its appearance. A witch colleague of mine remarked about the difficulty he was facing, trying to stop bindweed from invading his garden and his attempts to kill it. Bindweed is actually High John the Conqueror and is often used in magickal spells, so investigate before you form an opinion on whether or not something should be destroyed. In every moment in every day no matter what I am doing or where I am, I am a witch. Does that mean I am an earth witch, or does it mean that I am simply earthy and a witch. I don’t run about in the woods casting spells. I seldom do rituals outside unless its summer time, well, I live in Scotland, and it is far too cold and inclement for that. Each day before I do anything I else I light a small T-lite candle and perform a simple morning ritual giving thanks for blessings I have received and asking the Goddess to protect and guide me through the day.